Rachel Saunders, newly elected Ordinary Member of the Nunatsiavut Assembly representing Hopedale, talks about her motivation, process, and winning strategy. Rachel Saunders is making waves along the North Coast of Labrador for doing politics differently. 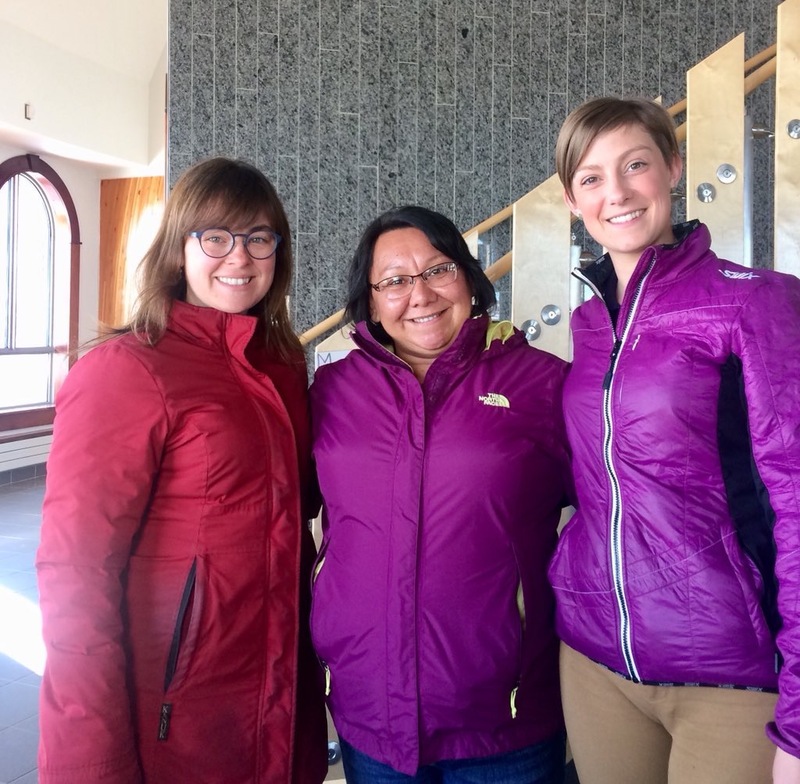 We (Maggie Burton and Caitlin Urquhart) spent some time in May traveling the Coast and working with Nunatsiavut Status of Women Coordinator, Tracy Ann Evans Rice, to facilitate collaborative workshops on leadership development for Inuit women in the communities of Rigolet, Makkovik, Postville, Hopedale and Nain. Everywhere we went, we heard about Rachel Saunders and her recent winning campaign in Hopedale, which had sparked the interest of just about everyone we talked to. On May 27, we had the opportunity to interview the newly-elected Ordinary Member for Hopedale, Nunatsiavut. Saunders won in a landslide with over 60% of the vote on May 1st, her opponents received 30% and 10% of the vote respectively. Rachel ran an innovative campaign for Ordinary Member. She went door-to-door day in and day out, but rather than drop off a pamphlet, she came to listen to residents. Saunders recorded people’s concerns in her notebook and posted them on Facebook. This is not typical of an election in the small Northern community where candidates rarely canvas, let alone spend hours in peoples homes. Our workshop participants had heard that Saunders wrote down all the concerns she heard in a book after going house to house; they heard that she was doing things differently and it worked because she got the votes and won. (l-r): Maggie Burton, Rachel Saunders, and Caitlin Urquhart. Maggie Burton: What is your role in the Nunatsiavut Assembly? Rachel Saunders: Ordinary Member and Minister of Education and Economic Development. MB: Why did you run? RS: I ran because I want changes. I have a passion for helping people and the Nunatsiavut Government is able to help in a real way in the community. I’ve worked in the Mental Health and Addictions field for 13 years. I’ve received so much help in my life growing up that this is my way of giving back. It’s in my nature to advocate for people, especially for those who don’t have a voice, when even though they have a lot to say they can’t say anything. There has been a lack of communication between the government and the public—a lot of people don’t know what the Assembly is all about. I’d like to improve communication there. MB: How was your campaign different than previous campaigns on the North Coast? RS: I had advice for an Elder advisor about running a more traditional Inuit campaign. My campaign focused on listening to people. The way it was done before was so impersonal—go to a home, drop a pamphlet and leave. They thought that by giving someone a piece of paper and promising this and that they would support you. But you have to show them that you’re serious about the job, that you do want to help and advocate. By giving them the opportunity to talk, it could have been from 15 minutes to 2 hours. I did 9 visits a day—3 in the morning, 3 in the afternoon and 3 in the evening. I got to visit most of the homes in the town. I was upfront with everyone and didn’t have a personal agenda, I would let them know that I was there to hear what they wanted to change if I was elected. I didn’t make any promises except that I would do my best and always get back to people with a response after they bring a concern forward. The first house I campaigned at the woman said to me: why do we always have to fight for things? Why? Why is it always just “good enough”? I said, no truer words have been spoken. It should be a given that things are good. We shouldn’t be fighting to get things done. We’re fighting for money. For land. For human rights. We’re fighting for everything. You can’t thrive when you’re fighting for what you have. We’re really lucky to have self-governance but we’re still fighting for what we already have instead of what we need. I didn’t have any campaign team members, I did everything myself. But I had a lot of emotional support from family who helped make it possible to keep campaigning. I did a lot of selfies to end visits on a positive note, and got the community engaged on social media. Now that I’m elected I want people to come into the assembly building to talk to me there over tea and coffee to make more social opportunities for discussions about important issues. I have written down all the concerns people brought up during house to house visits and I plan to keep listening for more. MB: Why do you think it’s important for women to be in Nunatsiavut’s Assembly? RS: Inuit women are providers for their families. We know what needs to be done, financially and otherwise. Women are responsible for getting things done in the community. Women here are nurturing, have patience, have generations of experience with child-rearing. We are great at multitasking. I think a mother’s perspective is valuable, too, and often left out. I want to represent their perspective now that I’m elected. MB: What could politicians around the province, around the world learn from you? Why should the world pay attention to Inuit governance? RS: The Inuit are a humble people. Growing up Inuit is a hard way of life. We’ve had to learn how to adapt and be resilient, have had to learn just to live. There’s so many struggles, traumas that Inuit people have lived through and experienced in the last hundreds of years. I believe we are equipped to deal with whatever is thrown at us because of those resiliencies. For me, governance is about the people. The government wouldn’t be a government without the people. To me, that’s important and I think focusing my work within the government on the community will be successful because we have been focusing on so many outside things that the people have been forgotten. Elected officials are here because of the people and we can’t lose sight of that once elected. I am going to have to remind myself about that, about why I’m here. People think that Inuit are not a very vocal people, but we know that the most important thing is to listen. To listen with your heart, not only with your ears. Anyone could listen with their ears. We may not say a lot but when we do, it is meaningful. I think we can bring a unique perspective to policy conversations. We really stop and think— what are the pros and cons. How will it benefit the people? Too many rash decisions are being made around the world. With policy, you have to slow down, and really think about things. When you do things formally you don’t get as much done as when you do things informally. Decision-making is done by having conversations, like in the old days. MB: What was the highlight of your campaign? RS: Going door to door and connecting with people. MB: What perspective do you bring to the table? RS: The concerns that the people brought forward during canvassing. I’m not here for me, for my agenda. A platform should be based on doing what the people would like to see improved upon or even worked on at all. In their eyes it hasn’t always been done, or they haven’t been heard. MB: How do you make decisions? RS: I start from considering the most vulnerable people first. You know who they are. Nobody goes to see them but they are my people, I grew up like that. My main reason for running is that vulnerable people are left out. Nobody hears from them, nobody makes them a priority. For me they need to be made a priority, they’re people too. Those who don’t have their basic needs met are stuck, they’re going to stay the same because nobody is helping them. Our people deal with multiple traumas on a daily basis and it’s so hard to deal with it and break the cycle. I know where they’re coming from, I know what they’re going through. It takes a lot for people to say I need help, because they’re going to have to live through it again. We don’t have the necessary help here, DHSD does an awesome job but we still have generations of trauma to sort through and it’s ongoing. MB: What’s the biggest issue facing Hopedale right now? RS: Lack of land for housing development. The area of Hopedale is all rock—we have exhausted our areas of where can build homes. Developers have tried to build on bog land but the foundations are not stable, the walls and windows are cracking. The only available option is to blast through the rock walls. Hidden homelessness is a huge problem here. Our housing issue goes back to 1959 with the relocation of people from Hebron. My grandfather had to take materials from the American Base to build a makeshift shack for housing when they were relocated here in 1959. My grandparents raised me. We’re still in the housing crisis today 60 years later. Something has got to be done. MB: What does hidden homelessness look like in Hopedale? RS: It ties into overcrowding. We often have up to 3 full families living in a 3-4 bedroom home. Parents have grown children, those children have children. Several generations of the same family live together. This is hidden homelessness—there is nowhere for young, single men to go, for example. They have no choice but to stay in parents homes, or even strangers’ homes. They stay on couches or if they’re lucky enough to have their own room somewhere—a person can only take in someone for so long and then they have to move on. We did a needs assessment in 2014 and there are about 50 people experiencing invisible homelessness in the region. MB: What are some pieces of advice you would give to someone running a campaign on the North Coast? RS: Seek advice from an Elder advisor, a mentor. Mine is Sarah Ponniuk. Because we are Inuit, and Nunatsiavut government is for Inuit people, a lot of traditional customs and practices have been forgotten. I wanted to go back to a previous time and start my campaign from a traditional Inuit way. Before we had the NG, we had Elder council and an AngajukKak who travelled the coast and talked to the people, and governed through consensus building. People want to know who they’re electing. Relationship building is the basis of everything you do. Building relationships with the community is key to running a successful campaign and getting those votes. There are more women running now which is great, in the past it was mostly men around the table. We now need the younger generation to step up and take a lead role in politics. I would encourage people to go out and get an education, to take youth out to see the world and make more opportunities so that they are not as homesick when they go out for school. Tracy Ann Evans-Rice is the Status of Women Coordinator with the Nunatsiavut Government and lives in Makkovik, Labrador. Charlotte Wolfrey, a colleague in Rigolet, saw a need for more women in politics and successfully pitched a project that would see facilitators work with women in community to develop their skills and encourage their participation in the political sphere. Evans-Rice loved the idea and ran with the project. They called on Maggie Burton and Caitlin Urquhart to facilitate. Maggie Burton is a St. John’s City Councillor and professional leadership and management coach. She leveraged her experience working with high level executives and as a successful first-time politician in 2017 to help women identify their strengths, build confidence and develop skills plans. Caitlin Urquhart is a St. John’s lawyer, board member of the St. John’s Status of Women Council, and managed Burton’s campaign in 2017. She brought practical advice and drew on participants experiences to identify and plan how to run a winning campaign as a candidate or campaign team volunteer. Together Burton and Urquhart hope to continue to work with Inuit women, youth and other persons from underrepresented communities to increase the diversity of perspectives around decision-making tables throughout Newfoundland and Labrador. The St. John’s Status of Women Council (SJSWC) is a feminist organization that since 1972 is continually working to achieve equality and justice through political activism, community collaboration and the creation of a safe and inclusive space for all women in the St. John’s area. 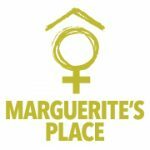 The SJSWC operates the St. John’s Women’s Centre, Marguerites Place Supportive Housing and Safe Harbour Outreach Project (SHOP). Marguerite’s Place Supportive Housing Program is a supported living program delivered within a safe and secure women only environment. Residents are supported by a team of professional staff, who provide individualized case management, ongoing programming and 24 hour support and crisis management. We strive to assist individuals with complex needs identify and overcome barriers that prevent them from successfully accessing and maintaining safe and independent housing in the community. We are currently seeking Relief Housing Support Workers to fill shifts as required for vacation relief, sick leave, etc. Shifts may be pre-booked or filled on an on-call / emergency basis. This position is single staffed for 8 and 12 hours shifts for evenings, overnights and weekends. To Apply: Submit your resume and cover letter addressed Raylene Noftall at Raylene@sjwomescentre.ca by Monday April 3rd, at 5pm.